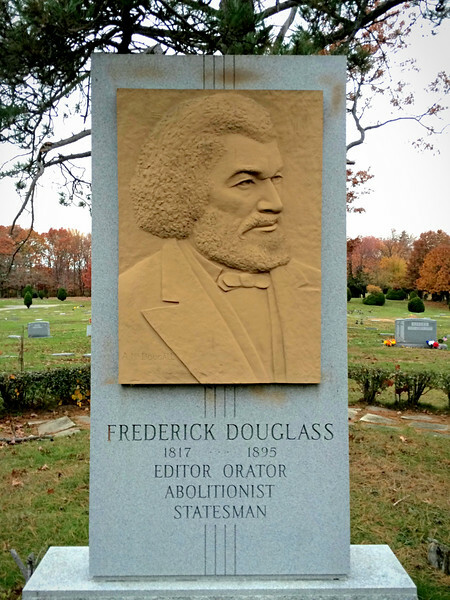 Frederick Douglass Memorial Park, Staten Island, NY. When unveiled in May 1961, this bronze and granite monument was said to be New York City's first sculptural tribute to the great orator. The artist was Angus McDougall, designer of the iconic Steuben crystal art glass apple paperweight.